At Silver Oak Casino we have a long menu of exquisite slot machines for you to play. That’s a fact! However, why play online slots? This is a valid question that many people ask themselves and I definitely support the legitimacy of this question. I mean, why move from the fun of playing at a casino? Or what extra value does playing online has? Let’s see if these reasons are good enough to answer your questions. 1. When you play slots online, your activity history gets recorded. This means that if you have an electrical shortage, you spill coffee over your computer or your kid re-starts your game, your history will be saved. 2. Most online casinos offer the most popular slot machines, but also they keep updating their sites with new games. But not only are there so many games, they are always there. At the tip of your fingers. 3. With no charge of money or no need to deposit, you can test drive slot games. You just download them into your computer and play ahead. 4. 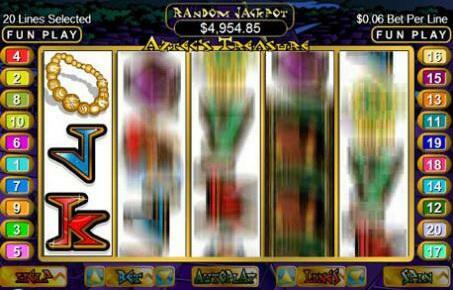 You will also receive casino bonuses when you play online slots. Some online casinos offer huge deposit and welcome bonuses which can earn you up to 300% or more when you fund your online casino account. When was the last time you were offered free money on money you spent in a land-based casino? 5. While playing slots online, you won’t have the usual distractions of a land casino. No ladies waiting for you to finish playing and use your machine. You can concentrate and play in the silence of your room. 6. In the middle of a game, you can go to the bathroom, serve yourself a drink or grab a slice of pizza and your game will be waiting for you right here you left off. 7. Your spouse or roommate, as long as it’s another adult, can also play online as well. It doesn’t have to be a solitaire experience. In fact, I know many couples that play each in their computer and compete for best results. 8. Another advantage of playing in an online casino is the free casino games. Unlike any land-based casino we’ve heard of, most online casinos offer you the chance to play their range of games for free to see how they all work before you spend a single penny of your own cash. 9. You don’t have to spend extra cash on gas, taxis or valet parking. 10. It’s anonymous. People will never know if you are playing online or not. These reasons are good enough, right? I continue to go to casinos, of course, but I do admit that coming home from work and playing my slots online always seem like the best way to relax once I’m home.